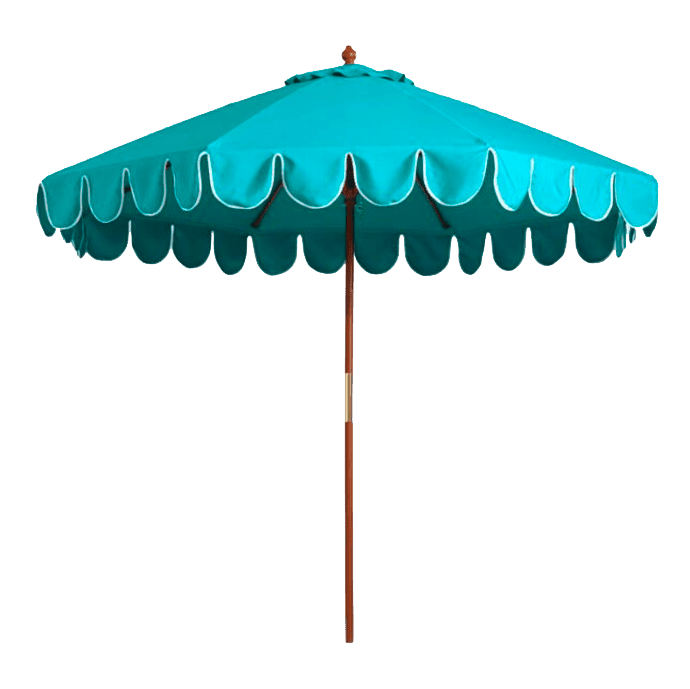 Ocean Blue Scalloped Umbrellas rentals not only provides shade, but offer a chic and ocean feel to your party or event in the Santa Barbara area. We also offer market umbrella rentals in tiki, yellow, a variety of blues and white. 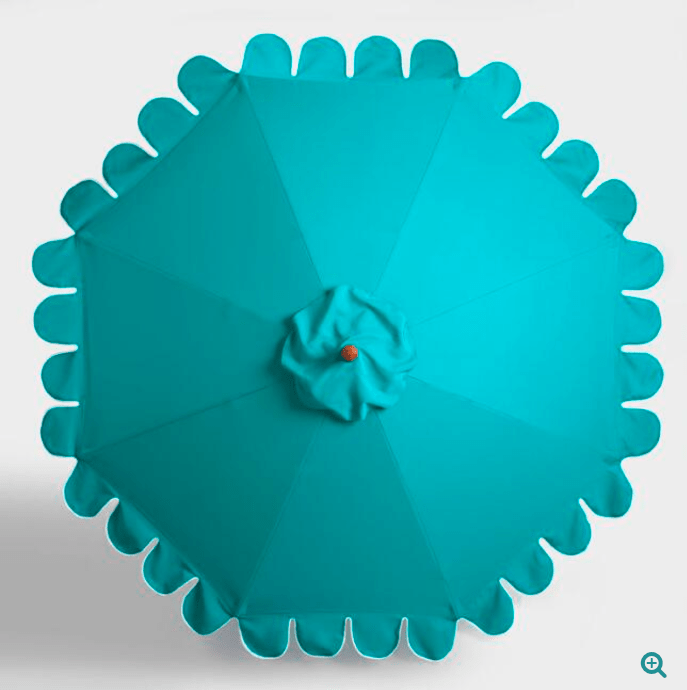 Scalloped Umbrellas are perfect accent pieces for your next party or event. Not only do they add a bright cheery color to your affair, but offer shade for any lounge area. All our umbrella rentals come with a commercial weighted umbrella stand. Umbrellas can easily be moved around when the sun changes position and are popular rentals for all event types where you want that extra sense of refined luxury. *Delivery is not included in the rental price.